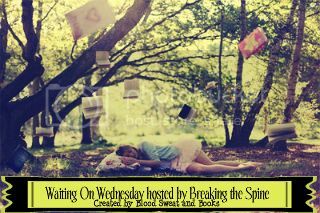 For this weeks Waiting On Wednesday I chose The 100 by Kass Morgan. It's been a minute since I've seen a Science Fiction book that really caught my eye. 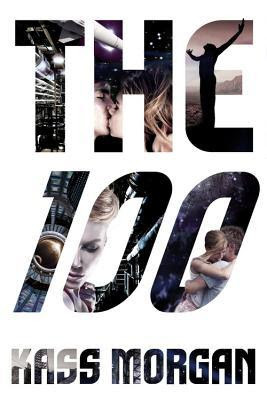 The 100 just sounds incredibly different than most books I've seen in this particular genre lately. Plus I'm a sucker for scenarios where the sole hope of civilazation rests on the shoulders of a few. For fun, If you could go into space and pick a new planet to live on, Which would it be & Why? I haven't heard of this book before- thanks for placing it on my radar! It's been a while since a YA sci fi caught my attention as well and I really like the plot of this book. Awesome! I hope you like it when you get the chance to read. Super excited for this one! It is supposed to be a TV show! Love sci-fi/dystopian and the idea of them living in space since Earth is so messed up then having to re-inhabit it. Is it?!?! How have I not heard of this! Onward to Google, lol. I hadn't heard of this one. It sounds like a great read!! Thanks so much for sharing!! Interesting that they'd send teens to colonize Earth-hope they're up for the challenge! Lol I know it's a bit far fetched that the hope of Earth rests in the hands of teenagers but maybe the book has a good reason why no adults go as well. Another book that I haven't heard of. It sounds interesting and somehow new in all the dystopian mess :) Great pick! I already have this on my TBR Goodreads list, so I'm right there with you! This looks amazing. Plus, I love that the cover is different from other dystopians. Yeah the cover is such a nice change of pace, I agree. Intriguing. I'd like to see how this story goes. Nice pick! This looks good, and I haven't heard of it yet. What a great cover, and it sounds like something I would definitely pick up. Awesome pick. I'm excited for this one, too. I'll definitely be picking it up and I love the cover. Great pick! I keep seeing this book everywhere, especially now that they're going to make it into a tv show, but I'm just not sold. I still have no clue how I missed this TV news. Oh my god I know the author of this! I've been hearing about this for what feels like forever and I'm so excited for her that it's almost out and I am so excited to see that you picked it! I am really excited to finally read it. Wow this book looks awesome! I just added it to my tbr list. Thank you so much for introducing me to this awesome book and for stopping by and commenting on my blog. Love your blogs look and hope you have an awesome Wednesday and rest of your week! Yay, you've found a book that I haven't heard of yet and that I would love! I love when that happens when participating in WoW. This sounds seriously awesome, Thanks for bringing it to my attention! Awesome!! Love when that happens.